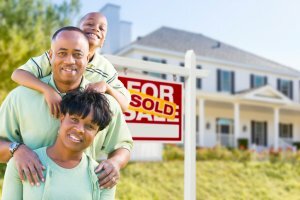 Know Your Options To Sell Your House Fast In Bensalem! We Buy Houses In the Bensalem Area At Any Price. Check Out How Our Process Works. If you want to sell your Bensalem house… we’re ready to give you a fair all-cash offer. It’s simple, easy and straightforward. No pressure, just an honest and fair offer that helps you sell fast! Selling directly to us (the homebuyer) cuts down the time it takes to sell your home drastically! It takes on average 91 days to sell your home through an agent. With our offer, you pick the closing date! Best of all, we can close in as little as 7 days! We like to help people because we care about helping people in a situation where they want or need to sell their home fast. All kinds of life situations cause people to sell a house. Failing on mortgage payments? Bad Renters? Hefty Repairs? Facing Foreclosure? Inherited a home? Going through a divorce? All kinds of things can cause you to sell. Gain back your peace of mind. Stop thinking of listing with an agent and save yourself valuable time and money. People think they can’t get out of their situation because their stuck. That is not true. We provide you a fair cash offer that allows you to sell your home fast. We purchase it as-is. No Repairs Needed! Don’t settle for the status quo. Take advantage of our offer now! Fill out our form to get your offer quickly. Sell your house in Bensalem, PA fast and easy with Philly Home Investors! Don’t pay real estate agents large commission, rather save money on that and closing costs! Don’t waste time on costly repairs either. NO Repairs Needed! We purchase the home regardless of the condition!